A bit of a disappointment this one. 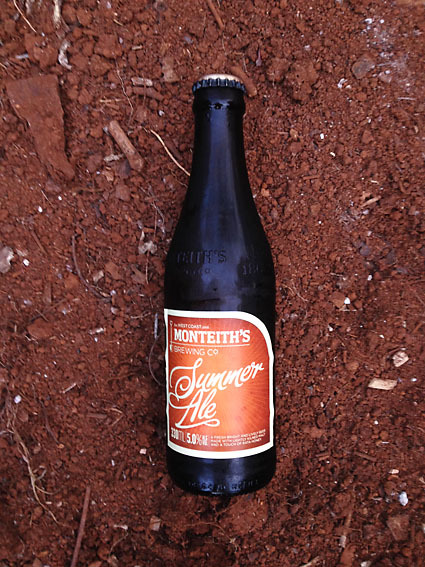 I remember the Monteith’s Summer Ale being a refreshing, shandy-like ale, that packed a bit of a punch. This ‘Pale Ale’ turned out to be pale in colour only. I was surprised to see a very light straw-coloured ale pour from the bottle. This brew lacks the hops and character to be called a pale ale. I detected a slight hint of kumquat, but that’s about it. It would be fair to say that this wouldn’t even make a good lager. Must do better. 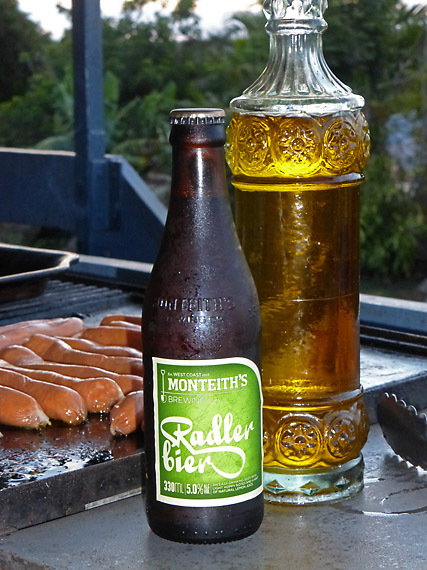 Okay, so here’s a change up, my first bru from New Zealand, Summer Ale by Moneith’s Brewing Co based in Greymouth. (Monteith’s sounds like someone with a lisp saying my son’s name). I was was only previously aware of their cider, so it was a pleasant surprise to find their Summer Ale. Beautifully golden in colour, it has a sweet aroma similar to a bitter shandy. The taste is wonderfully refreshing, I get fresh ginger with a touch of lime. There’s sweetness with a ever-so slightly bitter finish. In fact, it reminds of an old fashioned Shandy Bass, a great summer drink for all ages. Monteith’s version is a surprising 5%, so beware! It slides down real smooth, but has a certain bite too. 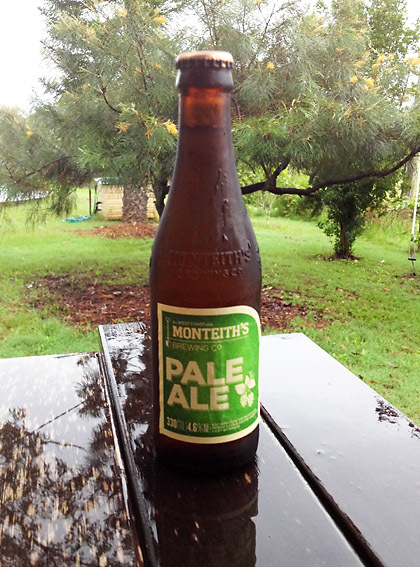 A true thirst quencher, Summer Ale exceeded my expectations and I look forward to sampling more from across the ditch. Queue the music …… Summer lovin’, happened so fast ….